« NCSA Athletic Recruiting Shares Tips for Student Athletes to Make the Most of the New School Year! Life Science has always been one of my favorite topics and as a former Science teacher, I want to make sure that I pass on my love of the subject to Riley. Now I may be a little biased in this opinion, but I don't think that the importance of Science can be stressed to children enough. It is a subject which utilizes reading, writing, mathematics, deductive reasoning and creative thinking and teaches us the way our world works. 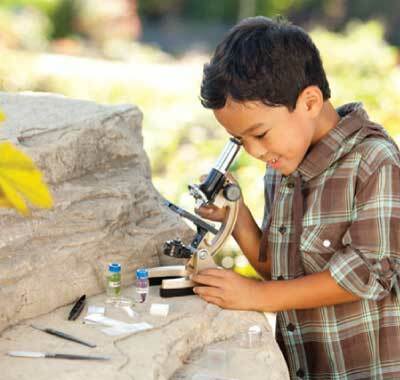 A microscope is an essential scientific tool which opens up a whole new world of discovery for any child. Educational Insights offers a variety of high-quality microscopes and recently allowed me to review the MicroPro 48-Piece Microscope Set. Keep reading to learn more! I reviewed the MicroPro 48-Piece Microscope Set from Educational Insights, which retails for $39.99, but is currently on sale for $25.25 with FREE SHIPPING. The MicroPro 48-Piece Microscope Set from Educational Insights helps young scientists investigate everything from cells to crystals. It's perfect for use in the classroom or at home because this 48-piece set includes all the tools kids need for clear, precise viewing of microscopic items. Study the cube-shaped crystal structure of common table salt or examine tiny microorganisms in a drop of pond water - there's a whole new world to discover! 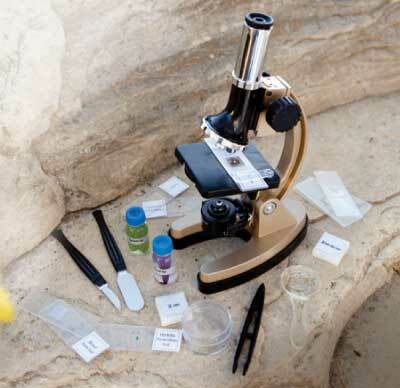 This set even includes three professionally prepared slides to study, just like a real scientist. If you've been searching for a high-quality and affordable microscope set for your budding scientist, then I highly recommend the MicroPro 48-Piece Microscope Set from Educational Insights. Give your child the proper tools to satisfy their curiosity about the world around them with this well-made microscope set! 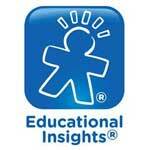 Disclosure: I received the MicroPro 48-Piece Microscope Set from Educational Insights in order to facilitate my review. No other compensation was received. This product review is based on my own personal experiences with this item and is completely honest and objective.